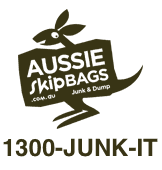 For skip bin or skip bag Sunshine Coast please call us at Sunshine Coast skip bags. Not only do we offer the most user friendly cost effective skip going, our skips do everything a skip bin does, takes the same junk without exception, better still with us there are no time limits, our skips are also easier to work with. These skips are super strong, take the same rubbish as a bin, yes the same without exception, and 100% recyclable. We also sort and recycle everything we can, like you we care about the environment and we also want to limit landfill. We are locally owned and operated since 2009. No mater what you are getting rid of our skip bags take it, metal, concrete, beds, furniture, garden waste, electrical goods, white goods, you name it. You can also place the skip bag on your property where you want it. Even in a garage or under carport if you want. We just need to be able to get within 3M of the skip bag to remove it. 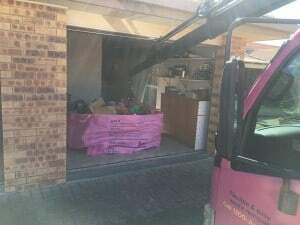 We use purpose built little trucks with a crane to remove the skip. Skip bins on the other hand are unwieldy things limited placed they can be placed. Sometimes they have to be put on the nature strip, this is illegal and council will fine you, plus possible liability issues. You can keep for a few days only, expensive, not easy to fill, I could go on. Local, reliable, punctual, honest. We are a small owner operated business based in Kawana.We cover the whole Sunshine Coast and Hinterland. We have been in business since late 2009 and we would love the opportunity of showing you how good and cost effective our skip are.